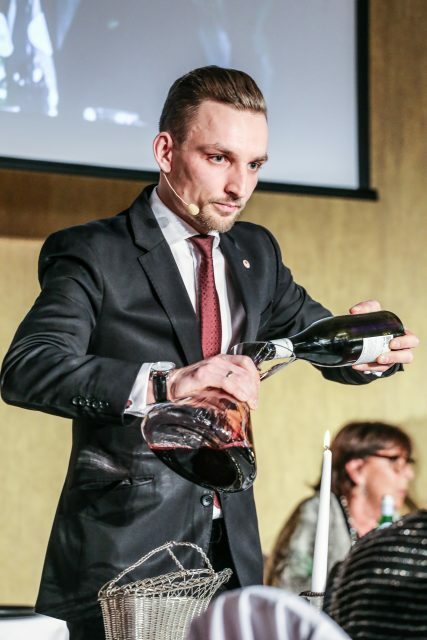 Polish Master Sommelier Piotr Pietras has been plucked from Launceston Place to look after the wine offering at Hedonism’s ambitious new Mayfair restaurant Hide headed up by Ollie Dabbous. In his new role Pietras will be responsible for a team of 16 sommeliers, and will look after London’s largest wine list, stretching to 6,800 bottles. Set over three floors – Below, Ground and Above – the 170-steater venue will be home to a tasting menu driven fine dining restaurant run by Ollie Dabbous. Hide is funded by Yevgeny Chichvarkin, the Russian entrepreneur behind Hedonism Wine in Mayfair – a wine lover’s sweet shop filled with liquid treasures. Every single bottle sold at the shop will be available to order from iPad wine lists at Hide, and Pietras promises that bottles can be delivered to the restaurant at 85 Piccadilly in as little as 12 minutes. Interestingly, Hide is opting not to use the Coravin wine access system and will instead offer 50 wines by the glass in the conventional way. In addition to three restaurants Hide also boasts a cocktail bar, three private dining rooms, a walk-in cellar, and the option for guests to choose their own decanter. Hide will launch with a soft opening in early April and is slated to open fully to the public in late April. Prior to Launceston Place, Pietras worked at Gordon Ramsay’s Maze and Corrigan’s Mayfair. A feature on London’s largest wine lists will appear in the May issue of the drinks business.